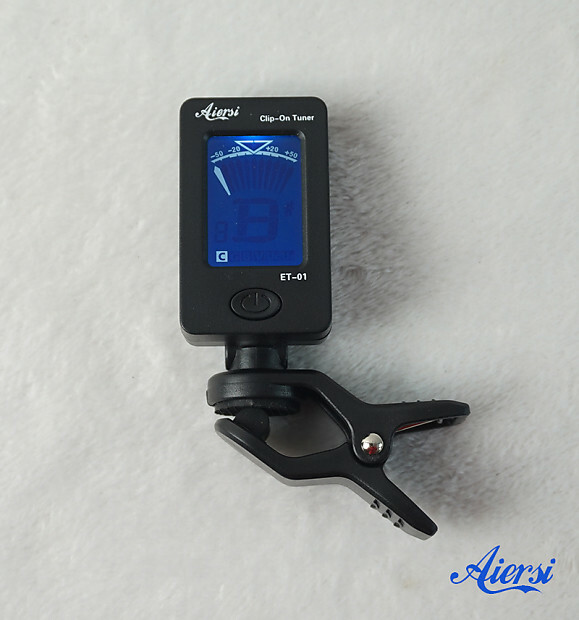 Clip on Tuner for Guitar, Bass, Violin, or Ukulele. Includes Chromatic tuning. 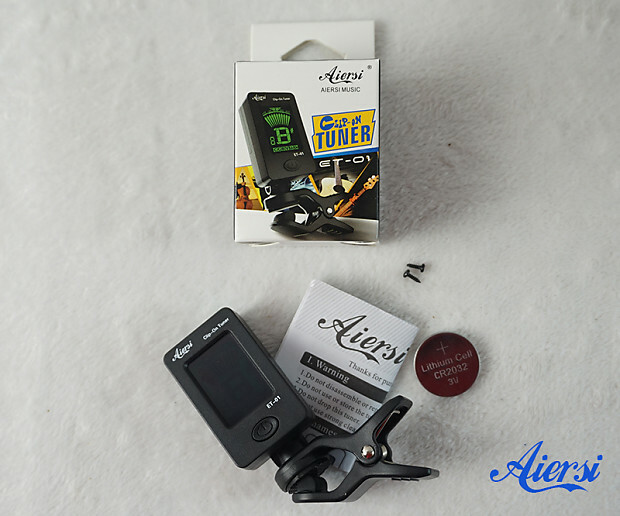 Aiersi ET-01 model. 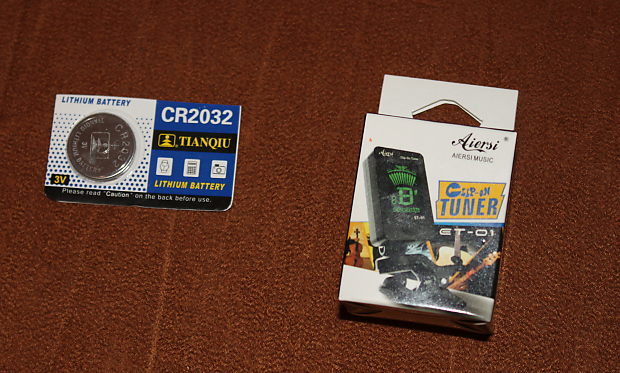 This is the tuner that most companies put their name on and charge more. 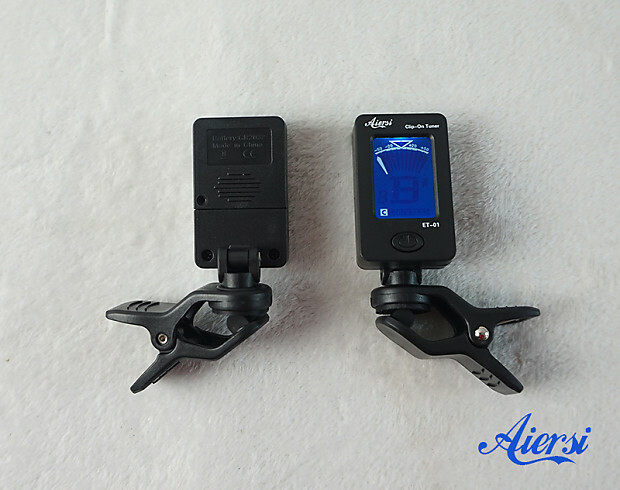 This lightweight small footprint tuner clips on the head stock of any guitar, bass, violin or ukulele. Ukulele tuning can be C (standard) (4G, 3C, 2E, 1A) or D (one note higher) (4A,3D,2F#,1B). It also has a chromatic mode which allows you to tune a string to any of the 12 pitches of the chromatic scale. Each step of the chromatic scale is a semitone (e.g. C, C#, D).